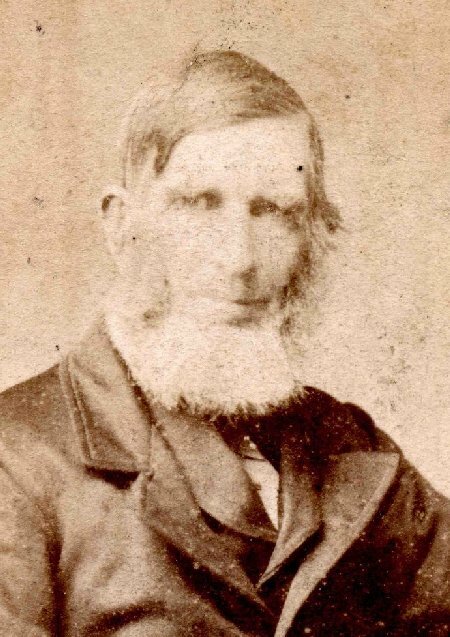 George Horne - Born; May 26, 1827 - Baptised Aug 14th 1827 at Mattishall and Dereham Congregational Church Mattishall - Son of William Horne and Mary Ann - Notes Baptized by Richd Fairbrother. Died: Abt 1890 ? Mitford - (June quarter 4b 173) - age 89 ? Notes: Groom signed his name; Bride signed her name; Married by Banns. Field/Plot 301 Owned by Ham Millett - house & gardens 2r(oods) 33p(erches) occupied by Lawrence Palmer & Horne. It is thought that this is the property now known as Sunnyside immediately opposite Cedar Rise. Mattishall Poor Rate books list Dr Palmer as the occupier of Ham Millett's property in 1836. It is also thought that he sublet part of the property to William Horne. 1828:- William & Mary Ann became members of the Congregational Chapel in Mattishall. William Horne was chosen as Deacon. Resigned his Office 3rd April 1862. Attended the Primitives and became self-excluded. Frederick Horne born May 22, 1837 - Son of William Horne a Tailor and his wife Mary Ann Mann. Field/Plot 362 Owned by Ham Millett - house & garden 2r 33p occupied by Lawrence Palmer & William Thomas House. Oddly enough Horne does not appear to be listed on the Schedule. However, William Horne does figure in Mattishall Poor Rate book of 27th September 1838. The entry signifies that, a house and land, owned by Hamlet Millett, was occupied by William Horne and surgery by L. R. Palmer. A Poor Book of 1836 noted that the property was in Bull Street which ran roughly between what is now called the Old Vicarage (almost opposite Mattishall Church) to Welgate. 1839:- Mattishall Valuation Confirmation that William Horne & Dr Palmer occupied the property owned by Millett. In August 1839, Thomas Horne is also listed as occupier of a house owned by Millett. It may have been part of the same property or adjoining it. Mr Millett obviously died in 1839 for his Executors were listed in November of that year as owners of the property. Dr Palmer died in 1840 and the two brothers William and Thomas Horne continued as tenants. By November 1841 the property had been sold to James Wire. 1848:-7th May; Daughter, Emily Horne died aged 18. 1850:-12th November; Son, Frederick Horne died aged 13. 1853:- 9th August; wife, Mary Ann Horne died, aged 51 years , buried 10th August, Old Moor Chapel, Entry 143; there is a gravestone in memory of her in Old Moor Chapel burial ground. 1853:- 29th September:- Witness at the marriage of his son George Horne to Susanna Harriett Poll of North Tuddenham. 1854:- White's Directory of Norfolk-under Mattishall: William Horne, tailor. 1856:- 1st January; Elizabeth second wife of William became a member of the Congregational Chapel. 1862:- William was appointed treasurer of the Congregational, ‘Old Moor’ Chapel and a committee was formed to arrange for the purchase of a Manse. 1862:- 3rd April; Resigned his Office as Deacon of the Congregational Chapel: Mattishall. Attended the Primitives and became self-excluded. 1864:- White's Directory of Norfolk-under Mattishall: William Horne, grocer, draper & tailor. Elizabeth Horne, Wife, Married, aged 70, born Yaxham. 1883:- Whites Directory of Norfolk-under Mattishall: William Horne, tailor & draper. 1887:- (May ?? ): William Horne Died aged 86; buried Old Moor Chapel, Entry 184. 1887: Jun 11 - The Will of William Horne late of Mattishall in the county of Norfolk Tailor and Draper who died May 13th 1887 at Mattishall was proved at Norwich by George Horne of Mattishall Tailor and Draper the son and sole Executor. Personal Estate £113. 17s. 8d. Marriage date unknown as yet.! 1828:- Mary Ann and her husband William became members of the Congregational Chapel in Mattishall. Witnesses; John Meachen and Harriett Baldwin. 1856:- 1st January; Elizabeth became a member of the Congregational Chapel. 1862:- 3rd April; Left with husband William. Attended the Primitives and became self-excluded. 1875:- Elizabeth and William appear in a list of members of the Congregational Chapel so they must have had a change of heart! From all account it is believed Elizabeth is buried at Old Moor Chapel where she was recorded as Eliza Horne.